ALERT – The TSA decision regarding allowing knives on airplanes was put on hold and later rescinded. Brooklyn, NY (March 5, 2013) – The American Knife & Tool Institute (AKTI) is pleased to announce breaking news for all knife owners. The U.S. Transportation Security Administration (TSA) announced late morning on March 5th that they will allow people to carry small pocket knives on passenger planes. The American Knife & Tool Institute (AKTI) was instrumental in working with TSA to allow this policy change to become a reality. “As the knife and tool industry association, we were very pleased to work with the TSA on these revisions to ease the restrictions for all Americans carrying essential and valuable tools when they travel,” noted Jan Billeb, AKTI Executive Director. “This has been a long time in the process and it was very exciting to get the call from TSA that it was actually going to happen,” she added. Effective April 25th, the agency will permit knives with blades shorter than 6 centimeters (no longer than 2.36 inches) and narrower than 1/2 inch at the widest part. (Bats and other sporting sticks will also be allowed onboard as carryons.) TSA staff told AKTI that the restrictions could not be immediately effective in order to allow personnel training time to avoid problems at security checkpoints. Detailed diagrams of allowed and prohibited knives can be seen in Resources under Traveling With a Knife on the AKTI website, on the TSA website, or in this TSA document. Fixed blade knives, razors, knives with molded grips, and box cutters are still prohibited items. 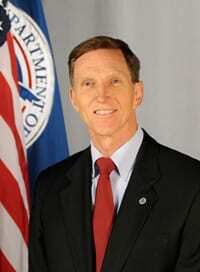 TSA Administrator John Pistole made the announcement in Brooklyn at the AVSEC World Conference. He noted that allowing these items onboard would allow screeners to focus on the highest priority threat—non-metallic explosive devices. Valuable TSA resources will be used where most needed and passengers will not be inconvenienced or have to voluntarily abandon their Swiss Army or other small pocket knife. Guidelines for small pocket knives on airplanes will align the TSA Prohibited Items List with the International Civil Aviation Organization’s (ICAO) Prohibited Items List, a policy change that that has been pushed for several years by the American Knife & Tool Institute, industry leaders including Swiss Army and Leatherman, and supportive members of Congress. “Our meeting with the American Knife & Tool Institute in September was invaluable in this decision to allow small knives onboard airplanes,” acknowledged a senior advisor at the Transportation Security Administration. 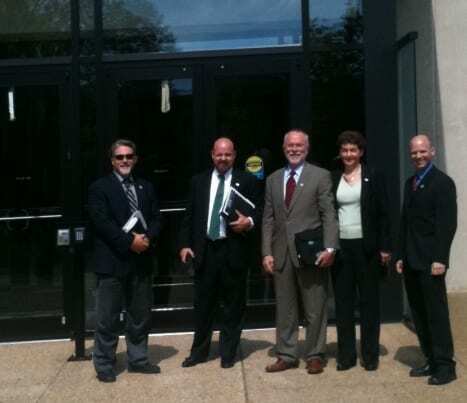 Several top level officials of the U.S. Department of Homeland Security met on September 20, 2012 with AKTI Executive Director Jan Billeb, AKTI President Bill Raczkowski (Gerber), AKTI Vice President Rod Bremer (CRKT), AKTI Legislative Chair CJ Buck (Buck Knives), Peggy Bremer (CRKT) and AKTI Legislative Counsel John Larkin. During the meeting with AKTI, TSA officials were impressed by the efforts of the nonprofit association to educate its members and the public about the current regulations, including distribution of thousands of AKTI luggage tags in the past years reminding people they could travel with their knives as long as they were placed in checked luggage. “Our meeting was an open and excellent exchange of understanding regarding the issues the TSA faces and the concerns of our organization representing the knife community and travelers in general,” stated CJ Buck, President of Buck Knives. AKTI President Bill Raczkowski expressed thanks not only to the TSA for listening to the American Knife & Tool, but also noted that “John Larkin, AKTI’s Legislative Counsel, should be commended for his efforts in coordinating TSA meetings and we thank Jan Billeb, AKTI Executive Director, for all her efforts working with AKTI members and TSA to help make this a reality. In 2005, in a letter to then Administrator Edmund S. Hawley, AKTI began the dialog with TSA requesting re-evaluation of the regulations that prohibit passengers from carrying knives onboard commercial airlines. The organization also pointed out the needless harm done to the United States knife industry over such prohibitions that did not address legitimate aviation security issues raised. A specialized agency of the United Nations, the International Civil Aviation Organization (ICAO) was created in 1944 to promote the safe and orderly development of international civil aviation throughout the world. It sets standards and regulations necessary for aviation safety, security, efficiency and regularity, as well as for aviation environmental protection.